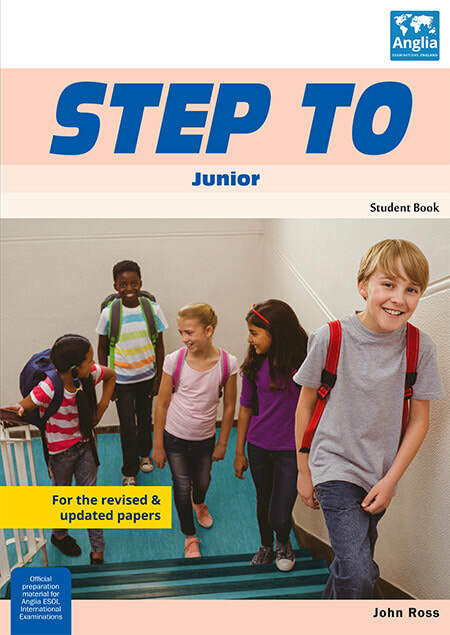 Junior level - WELKOM BIJ ANGLIA! Succes met je Anglia junior examen! 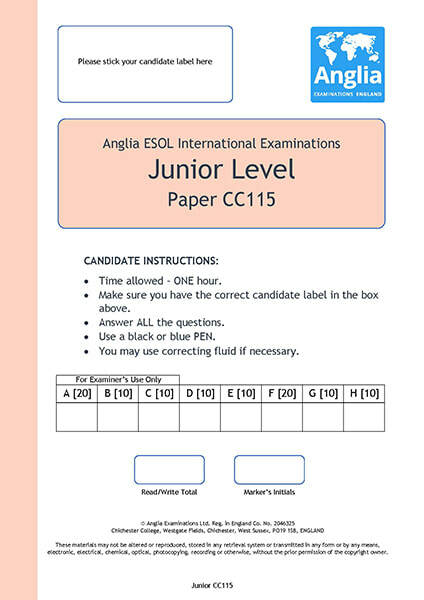 Maak een oefenexamen of klik op een van de Grammar Points (GP's) om specifieke onderdelen van het Anglia Junior examen te oefenen. Klik op de afbeelding om het Junior oefenexamen te openen. Question form and short answers. Describing personal attributes. Identifying an object. - He has black hair. - The mouse is behind the cupboard. - What is it? Is it a bird? Yes, it is. No, it isn't. - My brother is watching a video. - Jane is playing in the garden. - I am listening to the radio. - She is wearing a yellow dress. - My mother is cooking. - His name is John. As part of the identification on an object. - My brothers are watching a video. - The telephone is on the table. - The mouse is under the bed. - At school, at home, at the beach.